If you visit the island of Japan you will find many people driving small wagons, but for whatever reason the Japanese product planners decided that American buyers didn't want (or deserve?) to get the 5-door version of most of their machines. 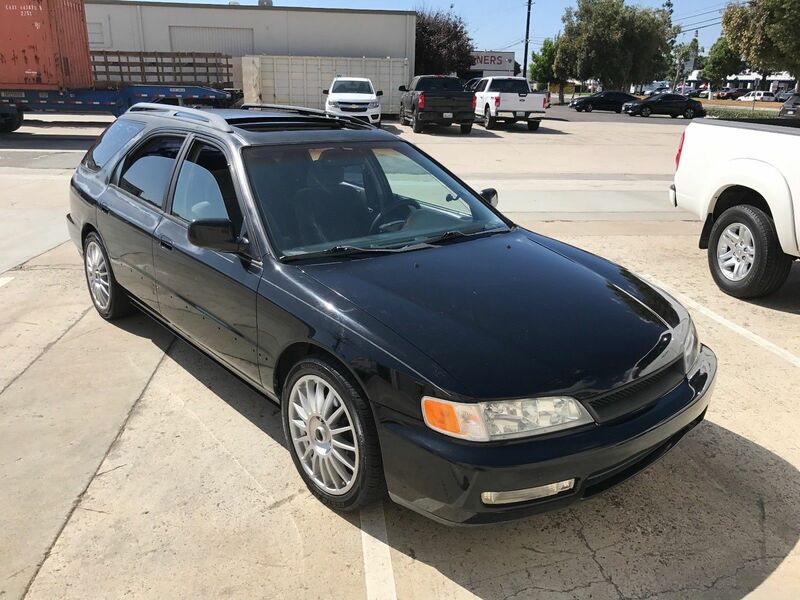 An exception is the 5th generation of the Honda Accord, like this 1997 Honda Accord EX Wagon offered here on eBay for $2,800 buy-it-now or make-offer, located in Irvine, CA. Rebuilt Transmission Mileage: Only 25,200! *Suspension is stock. Car is not lowered. *Pioneer Premier CD player + upgraded Sony speakers. *Brand new battery, just purchased this month. *(1) Ignition Key + (1) Valet Key included. Now, is it *swapped* or just *upgraded*? You'd think the ad would have to explain about a swap in some detail. Nope. I could look it up, but that would take 105% of the effort I'm willing to put into such an investigation. Looks like he put in a slightly later Accord four cylinder mill. A more interesting swap is an H22A - I've driven a sixth generation Accord with one of those, and it makes for a very different driving experience than the usual appliance. It wasn't fully sorted, though, and I wasn't looking for a project. 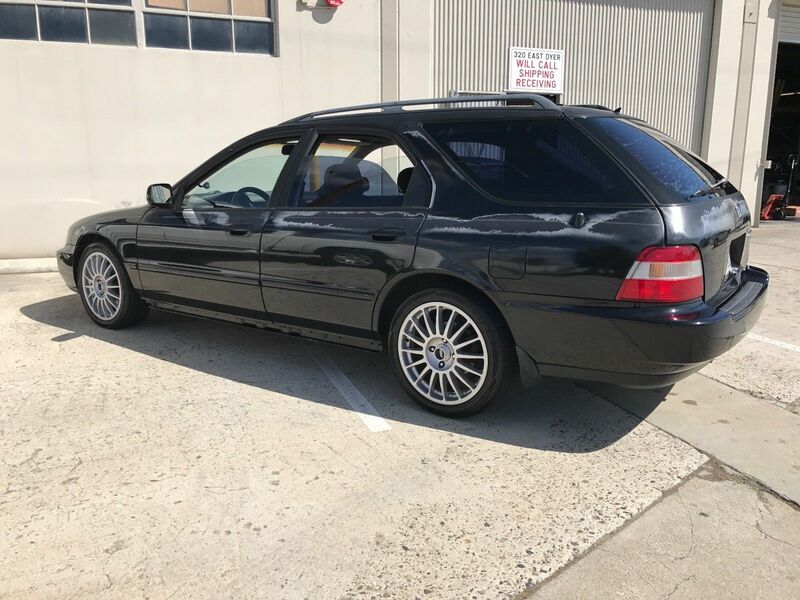 I had a 91 Accord it was a fantastic car. Never needed anything and great build quality.